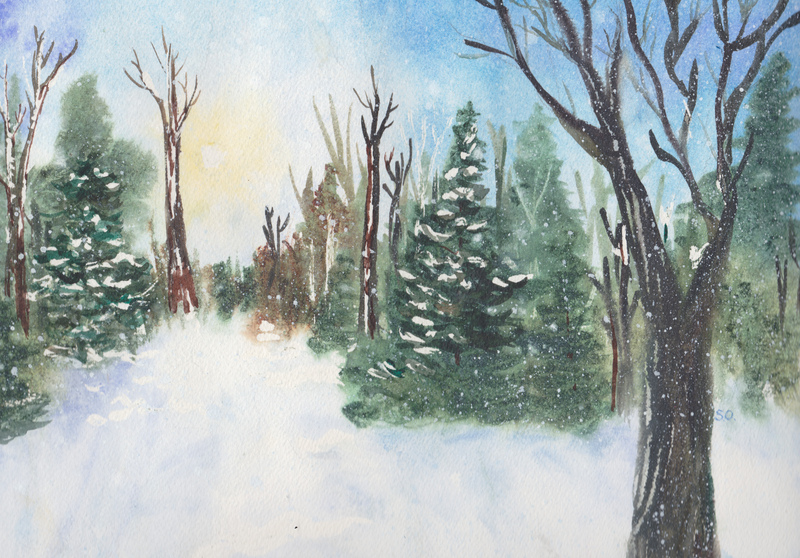 By taking a watercolor painting class at White Bear Center for the Arts, I am beginning to see how my style is unique to me. This painting is my version of the original created by our instructor Lisa Fertig, which she demonstrated painting in class a couple of weeks ago. Like the water lily picture I posted a couple of days ago, one element of my version is a very bold use of color. I am still learning how to finesse the color and work with the attributes of watercolor paint! I am satisfied with the strong sense of color in my paintings, though. When I took a watercolor workshop instructed by Jeanne Carbonetti last May, I was wowed by her use of color. I felt my eyes were open to the possibility that I could move into a more expressionistic style in my own painting. I am learning that I still have a lot more to learn, but I am moving in that direction! See “My Artwork” page on this site for my original paintings. I’m at home – inside looking out at fluffy white snow – the perfect way to spend a January day. I am enjoying this opportunity to work on my own projects and develop my artistic interests. 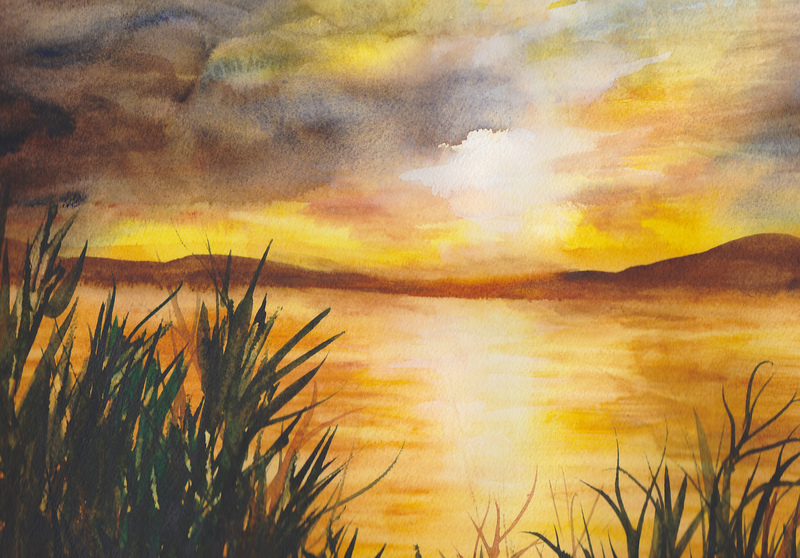 On Monday evenings, I take a watercolor class at White Bear Center for the Arts. 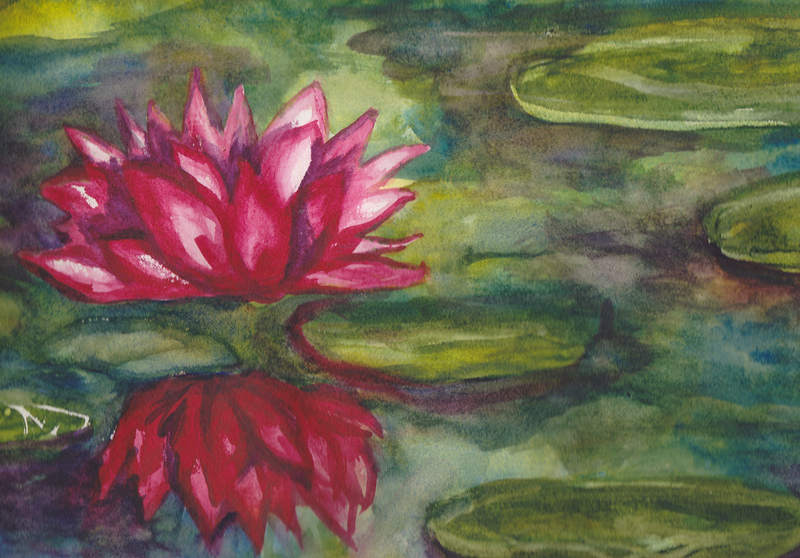 Here is my version of this week’s class project: a painting of a water lily. Our instructor Lisa Fertig creates the original painting, demonstrating how to do it in segments for the class. When she gets to each stopping point, we paint it on our own paper. I am amazed that although everybody in the class sees the same original, each of us creates our own version which is very different from the others. All are beautiful in their own way!